Lore (Full Version RARE) – Zibska IW / MP This is a preview for Liaison Collaborative Gacha Garden, opening on December 7th and running through December 30th. Teleport to event. Winter Touch (WLRP Gift) – Fallen Gods IW /MP Currently available at the December round of We ❤Role-Play.Click here to peruse the shopping guide for this event. Open as of December 4th. Teleport to event. Fynord Glaive – [The Forge & EZ Weaponry] IW/MP Currently available at the December round of We ❤Role-Play.Click here to peruse the shopping guide for this event. Open as of December 4th. Teleport to event. 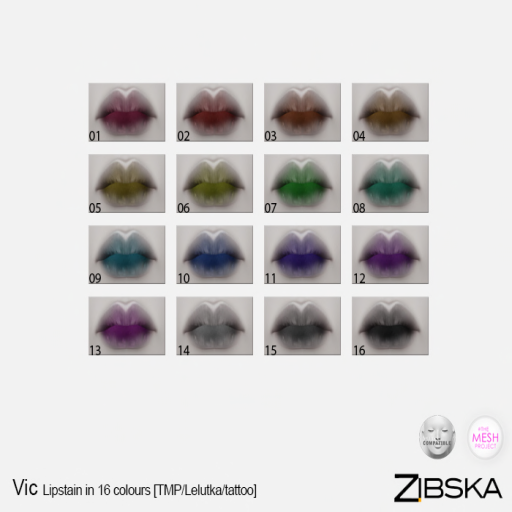 Eastern Wind (Editorial Series) – Tableau Vivant IW / MP This is a gacha item. This post features one of the products of Studio Skye by Alex Bader. You may visit the Studio Skye website by clicking this link. Click here to visit in-world. Click here to visit Marketplace. Within this post the Skye Enchanted Woods are utilized. Souvenirs Necklace – [Cerberus Xing] IW / MP This item is currently available at the December round of The Men’s Department. Teleport to event. Vic 16 – Zibska IW / MP Preview for the upcoming round of Uber. Teleport to event. Yun 02 – Zibska IW / MP Preview for the upcoming round of Uber. Teleport to event. Queen’s Jewel (Gold) – Noble Creations IW / MP Preview for the November round of The Fantasy Collective, opening on November 22nd at Noon SLT and running through December 15th. Teleport to event.